When Hurricane Sandy struck last October, the capacity of infrastructure to protect us suddenly became vital. As buildings crumbled and the roadways flooded, neighbors reached out to help one another and create impromptu community shelters. How can we foster these types of social support networks can help communities be more resilient to climate change? Communities, even in large cities like New York, are remarkably good at coming together after disaster strikes according Rebecca Solnit, author of Paradise Built in Hell: the Extraordinary Communities That Arise from Disaster. In this work, Solnit focuses on many examples of extraordinary acts of kindness and selflessness that occurred after Hurricane Katrina, 9/11, and other life-altering disasters. A recent NY times article by Michael Kimmelman suggests that for these impromptu communities to be more effective at helping one another post disaster, they need a place where they can gather to exchange resources, news, and emotional support. This place just might be branch libraries. He argues that branch libraries not only make the communities more resilient to disaster, but also help enliven the community and draw together people of all ages and backgrounds whether or not disaster strikes. Like branch libraries, public parks are community-forming spaces with opportunities for people to come together, formally and informally. Volunteers gather to document migratory birds or weed invasive species, kids play sports while their parents mingle, and park rangers share nature sightings with visitors. Might these interactions in parks also help build social capital? 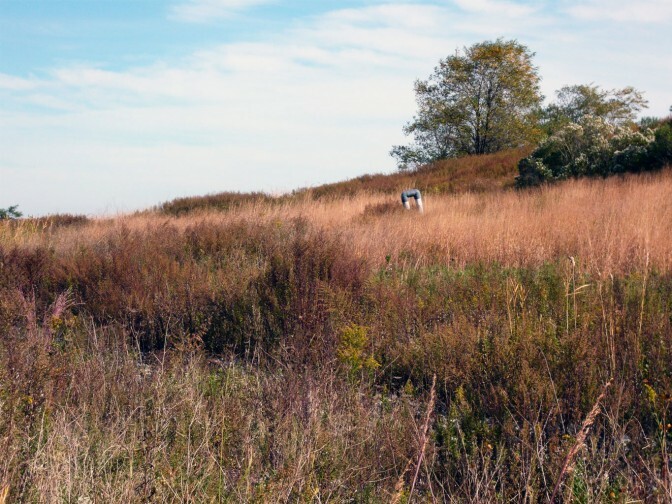 We saw the ecological role Freshkills Park played in buffering the west shore from Hurricane Sandy. Could the park also play a role in boosting social capital that will help our community adapt to climate change?